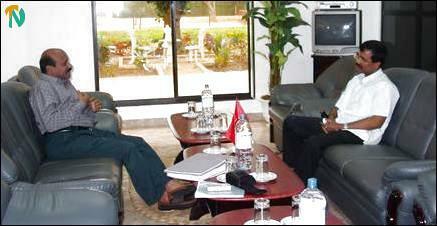 "My discussions with Thamilchelvan centered on how best to strengthen the political power of Tamils in Sri Lanka. This is the beginning of discussions to form a grand national alliance of Tamil parties. We have invited other upcountry Tamil parties for discussions with the Tamil parties of NorthEast to arrive at a unified front to represent the interest of Tamils in Sri Lanka as the next stage of forming an alliance. "If we present a single political front, Tamils will become major players in deciding the political destiny of Sri Lanka. We must ensure that the next election bears witness to this fact. "We have Tamils from Northeast living in hill country towns. We have Tamils of Indian origin living in estates and towns. Although we live scattered, there is no question that if we present a single national front, and all Tamils join forces, we will be able to provide 30 to 40 members of parliament. Our challenge is to workout an amicable arrangement where the independence and special needs of the different groups in hill country Tamils are respected and preserved within this unified front," Mr.Chandrasekaran told the reporters. On the question of leadership, Mr.Chandrasekaran said, "although my party is leading the talks to create the unified front, it does not necessarily mean that the leadership of the hill country Tamils should fall on my shoulders. If the other major Tamil parties make the leadership an issue in forming a unified front, I am prepared to accept others to lead the combined Tamil group." When a reporter asked what he felt about calls by United Patriotic Front for his party's removal from the Sri Lanka Government due to his participation in Pongu Thamil, Mr.Chandrasekaran said, "this is not the first time that I participated in the Pongu Thamil celebrations. 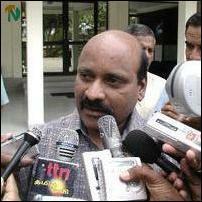 Pongu Thamil reflects the growth of the struggle of 35 lakhs Tamils during the past 50 years. I feel it is my historical duty as a Tamil to be personally part of such an expression. I am not going to be concerned of views of other people on my participation."